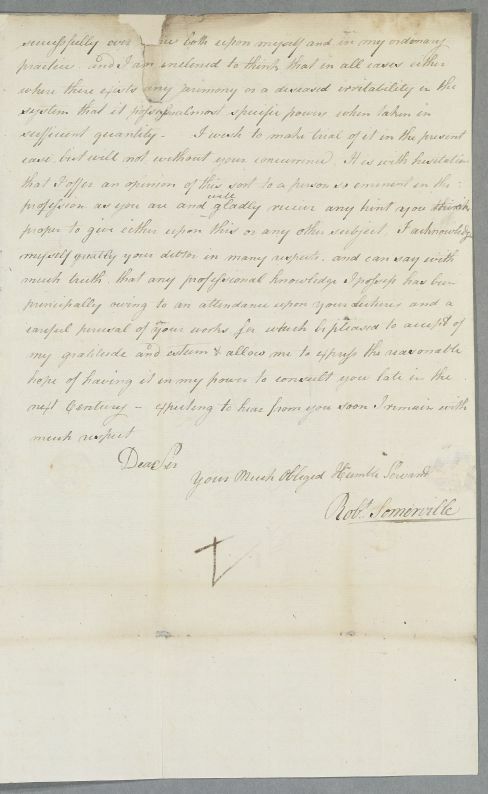 Letter from Robert Somerville, concerning Miss Wood, whose condition has improved following a bout of pneumonia, which he has treated with bleeding and blistering. 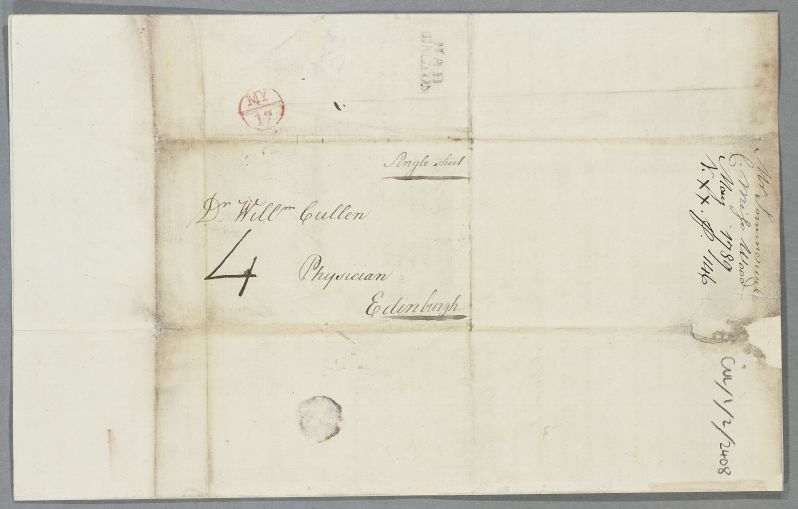 He also mentions using the Arabic Decoction when he suffered from cough and diarrhœa himself, and seeks advice from Cullen (whose student he was) on using it in this case. 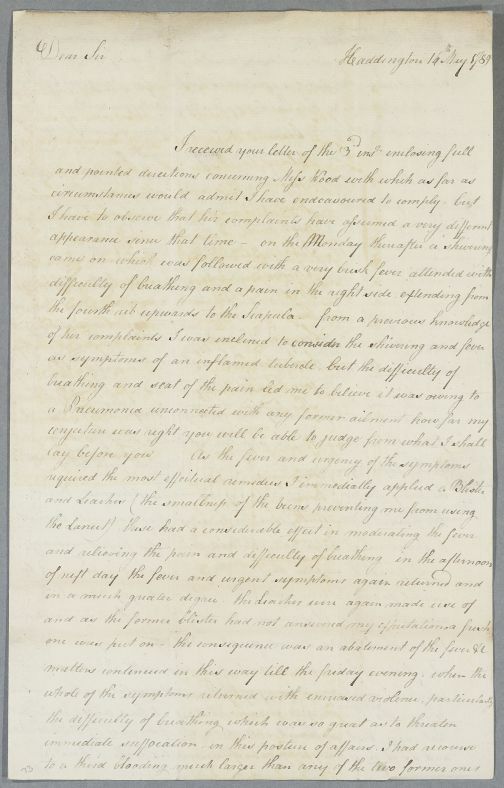 Summary Letter from Robert Somerville, concerning Miss Wood, whose condition has improved following a bout of pneumonia, which he has treated with bleeding and blistering. 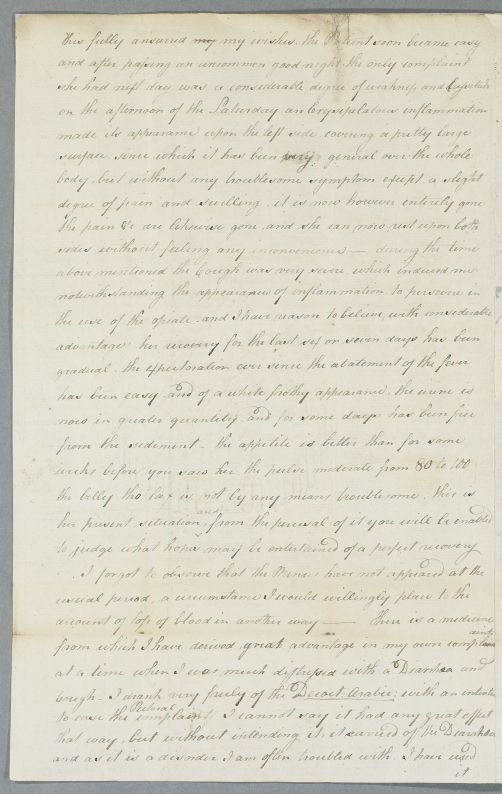 He also mentions using the Arabic Decoction when he suffered from cough and diarrhœa himself, and seeks advice from Cullen (whose student he was) on using it in this case. Case of Miss Wood who is debilitated by a cough developing into a serious lung condition suspected of being tubercular.